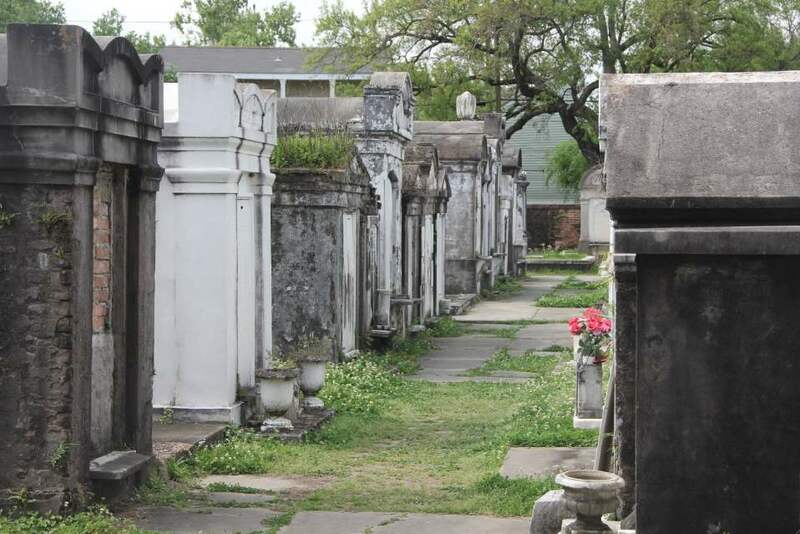 Only in the land of voodoo, vampires and ghosts could you find a tour of cemeteries on your list of must-dos. People are buried in mausoleums in New Orleans. Most of the websites say that it’s because New Orleans is 4-6 ft below sea level (which it is), but actually it’s because of historical politics. The story goes that if New Orleanians wanted to be buried on Spanish land (and the Spanish owned most of the land), then they had to be buried in the Spanish style: above ground. Actually, mausoleum burial seems really efficient. A corpse is placed on the top shelf of the mausoleum for a year and a day. The year is for the official period of mourning, and the day is just to make sure no-one interrupts the grieving process. It also has the benefit of ensuring that the corpse stays undisturbed in the mausoleum for a whole New Orleans summer, which – as our tour guide told us – is like the mouth of hell. After a summer in the pizza oven – I mean, mausoleum – at a fiery temperature of 300F, the corpse is reduced to ashes and can be swept down to the mausoleum’s basement, thus making room for its next occupant. There’s no limit, therefore, to the number of bodies that can fit in a 2 ft-wide mausoleum, which makes it extremely space-efficient.